I find sitting in an ordinary chair while I write for five or six hours at a time very uncomfortable so I write in my bedroom, which in effect has become an office with a bed in it. I prefer to put my feet up on the big double bed and spread my papers and books around me. The only problem is that I prefer to sleep in an unheated room, so in winter, when I do most of my writing, I wear lots of extra clothing, especially fingerless mittens, shawls and hoods, and end up more closely resembling an unidentifiable ‘abominable snowman’. What a question! In the last few months I have really enjoyed reading The Women of Heachley Hall by Rachel Walkley, The Cat of Yule Cottage by Lili Hayward and The Unlikely Pilgrimage of Harold Fry by Rachel Joyce – all very different from each other. But I have equally enjoyed reading The Marches by Rory Stewart, which I found utterly compelling and refreshing and made me want to visit the area around Hadrian’s Wall again. Unfortunately, living where I do, I don’t often get out to the theatre or cinema. The last really excellent theatre production I enjoyed was Beauty and the Beast performed by a local amateur company, but it was absolutely riveting and excellently done. A film I watched recently – and thoroughly enjoyed – was an unusual low-key production called The Beautiful Fantastic starring Jessica Brown Findlay and Andrew Scott: sweetly poignant but thought-provoking with that all important ingredient, the natural world in the form of an unloved garden. I read Gobolino the Witch’s Cat when I was about nine years old. Whilst still a kitten, the main character, Gobolino, had been cruelly thrown out of his home by the witch because he was useless as a ‘magical’ cat. He was utterly dejected, lonely, starving and fearful, praying to find someone who would really notice him, be kind to him and offer him shelter and food. It impressed me deeply and over the years I have extended the welcome of my home to many animals and people – including approximately eighty stray and feral cats, at one time or another. Very difficult to say. I ‘wrote’ my first ‘book’ when I was about four years old – a whole notebook with every page covered in scribble because I hadn’t yet learned to write properly. My mother used to read aloud to me; lively excerpts from Charles Dickens’ novels which I found hugely fascinating and entertaining. She also read Shakespeare to me. I learned an early appreciation of both writers’ command of words and use of colourful description. Both. Pen and paper for making notes and planning out chapters/content. Laptop for creatively writing it all up and chopping and changing it around. Do you re-read books or is life too short? I have to admit that I don’t re-read books very often – life is too short – they have to be very special for me to do so. However, I do have certain favourites. I love anything by Lucy Maud Montgomery – both prose and poetry – her work is like a literary hug. I also adore Elizabeth Goudge and my especial favourite is The Little White Horse. This is one book I have read several times throughout my life and never fail to fall under its enchanting spell. If I want to completely escape the twenty-first century and have a good laugh, I read Georgette Heyer’s Regency escapades… over the years I have re-read many of them, and some more than once. Not surprisingly, two of my more recent favourite books both involve Christmas: Twelve Days of Christmas by Tricia Ashley and the unlikely titled Sleigh Rides and Silver Bells at the Christmas Fair by Heidi Swain both neatly capture many of my dearest aspects of the season but more importantly they are about people and how they interact in the most trying of circumstances. Lighthearted but with a valuable underlying message. Re-reading them helped to keep me focused on the Christmas season during the long, hot summer while I was working on the completion of my own Christmas/winter-related publication. A question almost impossible to answer. No character is completely good or bad, so I will suggest Elizabeth Bennet and Mr Darcy from Pride and Prejudice by Jane Austen. Their characters provide the perfect foil and counterbalance for one another, crossing and re-crossing the line between ‘heroism’ and ‘villainy’ – subtle and perhaps more true to life. A few months ago. I was doing some tentative research for my next book, by way of a break from working on my current project. I know that I should use the facility more often but it presents two problems: if I hold a book open for more than a few minutes I tend to develop arthritic pain in the joints of my hands, so I tend towards electronic books which are easier to hold; also, in a library I see too many books that I would like to own for myself – I seem to spend most of my time there taking details and then going and spending a lot of money! I freely admit that there are many literary works that I yet would love to read, but I wouldn’t lie about doing so. I am who and what I am and it is pointless trying to pretend to be anything else. Merry Midwinter carries a message of universal love, interconnectedness and community, and how to simply and actively bring it into your life through the medium of Midwinter/Christmas celebration, benefiting not just yourself but all around you throughout the whole of the year. 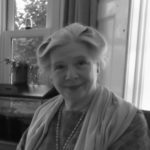 Gillian Monks is a Quaker, Theosophist and practising Druid. She was born and brought up in Lancashire and trained as a teacher, graduating from Lancaster University. Gillian is developing a spiritual retreat on a five-acre field where she also leads and facilitates workshops in self-development and spirituality. She has a deep affinity with the countryside and her garden and a particular love of Winter and Christmas celebration and delights in welcoming people into her home. Gillian is also an avid reader. She lives with her husband and son, five cats and two dogs in the heart of Snowdonia. January's chilly extract from The Almanac.